I have a very clever mate who works in steel who has helped me out with a few things round the farm over the years. 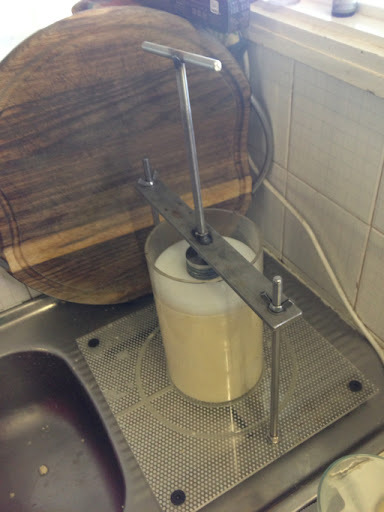 Miiiitch ( you have to say his name like a hotted up hatch accelerating hard, then changing gears ) and I worked up a design ages ago, with two different size barrels, a 20kg spring and a draining board, it was to the deluxe of home cheese presses. Miiiitch had worked out all the little problems and with Dolores giving a good 7L+ every day I was keen to give it a try. 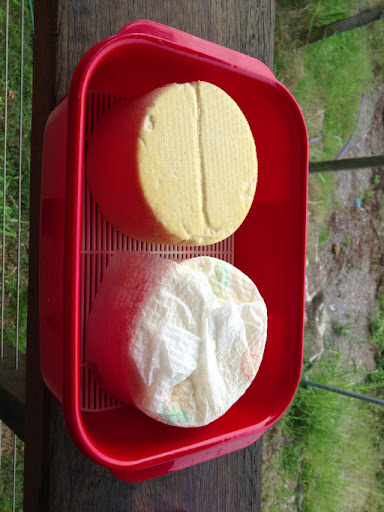 In some ways the making of hard cheese is easier than soft cheese. 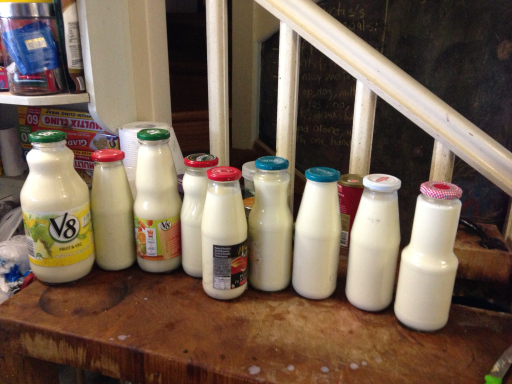 You can be a bit more vigorous with it as a smaller curd size is desirable. However there is all the turning, wiping and waiting. Oh yes the waiting. Even the smallest wait is two to three months. 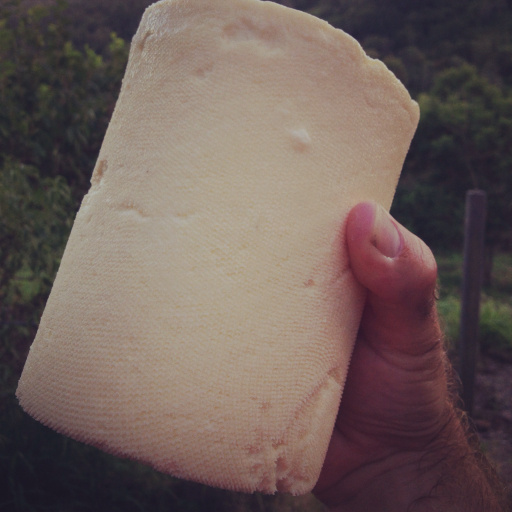 The first cheese I tried is one I'm hoping will be our staple hard cheese. Similar to a supermarket cheese it will be only aged a few months and be good for toasted sandwiches, grated cheese and snacks for The Boy. We go through a bit of cheddar, or what the supermarkets call cheddar at Lantanaland so it will be a good thing to supply our own. The next cheese is one that I use bucket loads of. Parmesan. We eat a risotto once a week here and I'm always using it. So laying down a few kilos of that seems like a smart thing to do. Tomorrow I am going to try a firm blue that is aged for just a month. I love blue cheese and a month is an acceptable time to wait to see how badly I stuffed up or lucked out. That's the beautiful thing about cheese, even a rank amateur like me can sometimes pull out a magic cheese. You can't have a good cheese without a cool fromage label and I thought to honor Miiitch I'd design a label around him. Miiiitch loves the summer dance festivals so he can get his shirt off, sunnies on and show off his wicked abs. 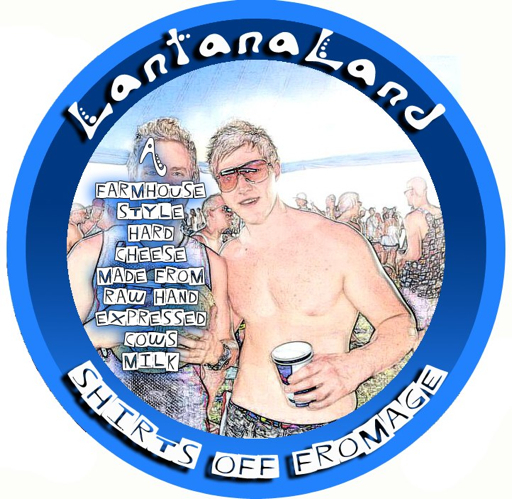 So I decided to name all Lantanaland's hard cheeses the Shirts Off Cheese, with the label to match. 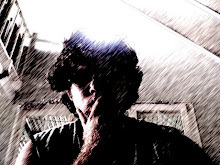 Hope you like it mate. The label looks great. Looking forward to trying your hard cheese, the softs have been big hits here.